The tank in question is a Juwel Lido 100l, home in the early stages to two Gold nugget plecs – certainly not plant-friendly fish as they ate everything I put in the tank, apart from Anubias and Java moss. 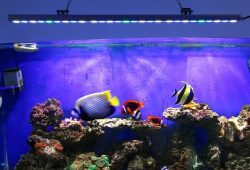 The tank is incredibly user-friendly and easy to maintain. The filters in particular have a large surface area of sponges with a slow flow. I initially put in bogwood for the plecs to hide among and have a bit of wood in their diet… and I never saw them except at night. As for the Amazon swords, they were turned into lace overnight. Out of desperation I added the Anubias, Java moss and African fern. This worked as the pesky plecs did not recognise them as food. Over time, the Java moss colonised the wood and looked pretty neat. I then came across some lovely Congo tetras and decided to turn the tank into a West African bio-tope, so added the Crinum and floating plants. Riccia worked best. 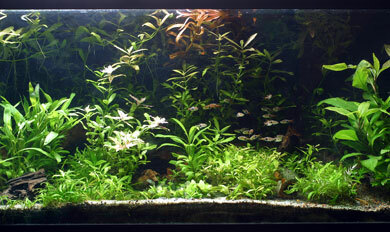 For purists, the only West African plant is, of course, Java moss, but it looked so good I left it in. Over time the tank evolved into quite a beauty, so when it came time to deciding what to enter, it was pretty easy! The competition is organised by Aqua Design Amano Co Ltd. I find it fun, and the challenge of improving water quality and plant growth becomes almost addictive. I am already thinking of ideas for next year – many hours can be spent planning the different eco-systems before deciding what would work well. What I particularly like about plants is that you don’t need high-tech equipment or a great deal of skill – a love of aquatic plants and great patience is what is required. There are, however, a few tricks of the trade to give your entry the edge. 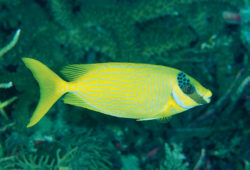 For instance, when choosing fish remember that they are much happier in small shoals. Avoid what I call the Noah’s Ark syndrome, i.e; two by two, so that you end up with lots of different varieties. One or two small groups of fish work best. 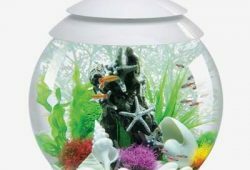 To get the tank in pristine condition, you’ll need to change the water regularly. I usually change 20% every two weeks nearer the time of the photographs (you need to submit photos for this contest), I up this to weekly, then about 10% a day until I reach a 20% daily momentum. This improves the water quality no end – and the fish sparkle. I also feed copious amounts of live food to get the fish in good condition. This includes Daphnia, bloodworm and microworm. I am a great believer in live food – I have never had any problem with introducing diseases. Even better, anything which is not eaten remains alive in the tank, eliminating the problem of pollution from decomposing food.